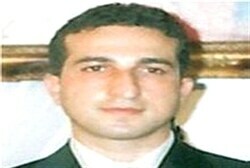 Yousef Nadarkhani, 32, was sentenced to death by hanging after his arrest nearly two years ago for objecting to Islamic education for Christian children. He was arrested in October 2009 for apostasy because he objected to the teaching of Islam to Christian children at Iranian schools. He was sentenced to death by hanging late last year, a verdict that he appealed to Iran’s Supreme Court. Nadarkhani’s lawyer, Mohammed Ali Dadkhah, has been sentenced to nine years in jail for “actions and propaganda against the Islamic regime”. There is no orthodox Islam. There is no moderate Islam. There is no reformed Islam. The choices for non-Muslims, unbelievers and ‘infidels’: Convert, submit, or die. However, not all non-Muslims, unbelievers and ‘infidels’ are allowed all choices. In Islam, all Jews are to be eliminated. It seems rather odd that anyone of sound mind would submit themselves to avowed murderers who go arse up five times a day praying to a half-buried rock. The ‘logic’ of Islam: Muslims say puppies are bad, but marrying 9-year-old girls and beating them to death is okey-dokey. In the peace-loving world of Islam, hanging the 8-year-old son of a local police chief just to make a point is no problem. A typical bitter Allah-clinging Muslim in Michigan chased his daughter through four states so he could murder her ‘for becoming too westernized’ – that’s called an honor killing. ‘Honor’…… Right. The true choice for non-Muslims, unbelievers and ‘infidels’: Molon Labe. This entry was posted on Monday, July 25th, 2011 at 07:35 and is filed under Main Postings. You can follow any responses to this entry through the RSS 2.0 feed. You can leave a response, or trackback from your own site. One Response to Convert, Submit, Or Die. And the Left demeans US if we are not tolerant of such as these…I tolerate babies that won’t stop crying, or annoying co-workers. I do not tolerate blood thirsty barbarians.